Thanks for making the 2nd Annual Nike Missile Site Open House such a special experience for park visitors this Veteran's Day Weekend! 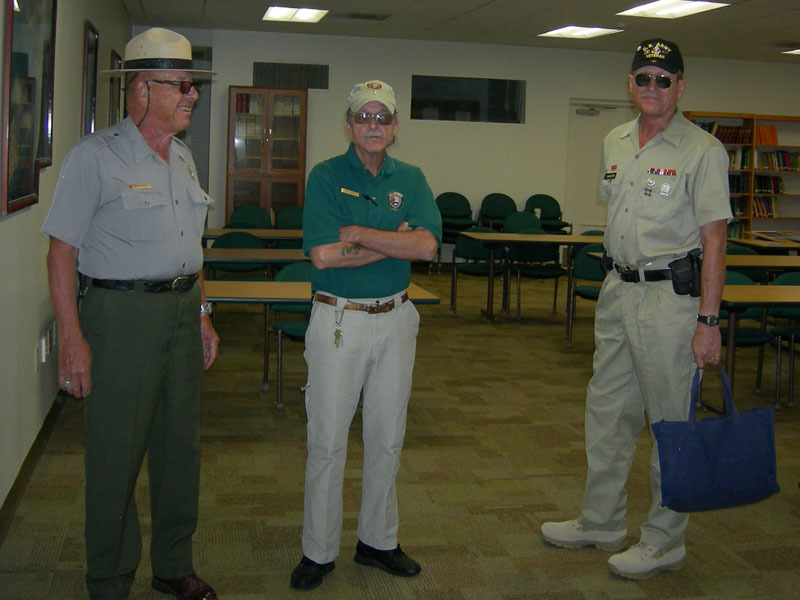 Everything from the parking and welcome table to the temporary displays and overview presentations made for a well-run event, and participants enjoyed refreshments courtesy of the South Florida National Parks Trust. 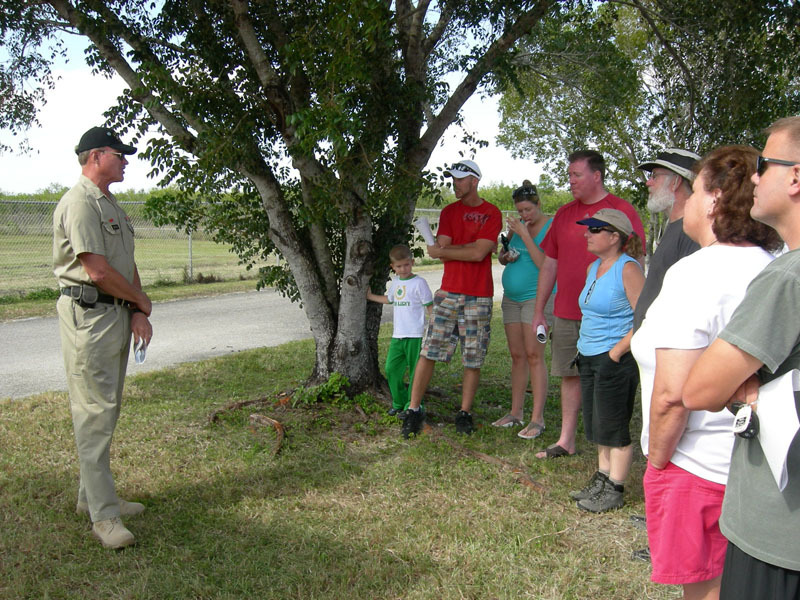 What really made the event meaningful were the top-notch tours for which I heard rave reviews! Nike Veterans Ted Swanson and Whitney Everett provided a unique firsthand perspective. 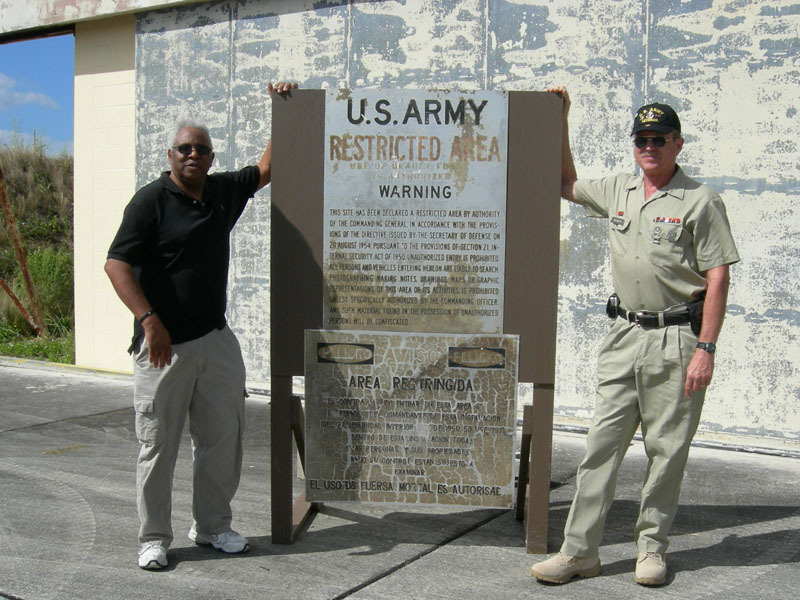 A Battery veteran (radar maintenance) Ted Swanson, donated his original United States Army Air Defense School diploma for the Improved Nike Hercules Fire Control Maintenance course to the park along with written versions of his legendary A-Battery adventure stories. After seeing photos of Thomas Sutterfield relaxing outside the very pink barracks, it was fun to meet him at the event in person. The following photos are courtesy of Ted Swanson. Dale Singer, Seasonal (Interpretation) Park Ranger (Capt. Marine Corps). Leon Howell, Seasonal (Interpretation) Park Ranger (Retired Coast Guard Commander). Ted Swanson, SP5 IFC Radar Maint. Chief A-2-52 1966-1968. Granval Turner, E4 Launch Area Crew C-2-52 1961-1964. Ted Swanson greets and gives orientation to guests.